These Pumpkin Spice Sugar Cookies from Sally’s Cookie Addiction are the best cookies for fall! So fun to make, and they look amazing! When I got my new Sally’s Cookie Addiction cookbook, I knew the first recipe I had to try was these Pumpkin Spice Sugar Cookies. I had never made cute, decorated cookies like this before, but they were just so adorable that I knew I had to learn. The trick to making the decorative designs is to use Royal Icing. I was always kind of afraid to use this type of icing before. It seemed tricky and intimidating. But it’s really not at all! I’m going to demonstrate how to use it for you. But first, let’s talk about these sugar cookies that are packed with the wonderful fall flavors of cinnamon, ginger, nutmeg, and cloves. The recipe in the book calls for Pumpkin Pie Spice, but I never have this. So I just threw in a mix of the aforementioned spices, and the cookies turned out great! Now if you are a person who is in a big hurry to make cookies, you might want to pick a different recipe. The dough must be chilled. A unique thing that Sally says to do is to roll your dough out first, then chill it, then cut it. So that’s what I did! The cookies held their shape in the oven perfectly. They didn’t grow and spread and become amorphous blobs. (Please tell me I’m not the only one this has happened to when making sugar cookies!) They came out looking so professional and clean! The edges had a bit of a crispy texture, and the centers of the cookies were soft. Just perfect! All you do is whip this powder with some powdered sugar and water for about 5 minutes. The frosting does not become frothy or puffy like you would expect with egg whites. You want a silky, smooth consistency. When making Royal Icing, consistency is key! To tell if you have the right consistency, lift the whisk out of the frosting and count how long it takes for the frosting drizzle to melt back into itself. If it takes 10 seconds, you are golden. If it takes longer, or never melts back in, you need to add a little more water. I wasn’t sure (since this was my first time making Royal Icing) if I had the right consistency, so I tried decorating a cookie. This is what I got. You can see the the frosting never evened out and got smooth, even after waiting for a long time. I added a teaspoon of water at a time and just stirred it in with a spatula and tried again. Perfection! When you first pipe the frosting (I used a small writing tip, but really any tip will work–even a star tip–because the frosting is so thin and will even out as it is released), it won’t look smooth, and you might have some gaps. But if it is the right consistency, it will slowly fill in those gaps and become nice and smooth. First, you outline the area, then you fill it in and wait for everything to even out. For these pumpkins, you do the outside and middle sections, and then let them set for about a half an hour before you go back and fill in the remaining two sections. Aren’t they so adorable! 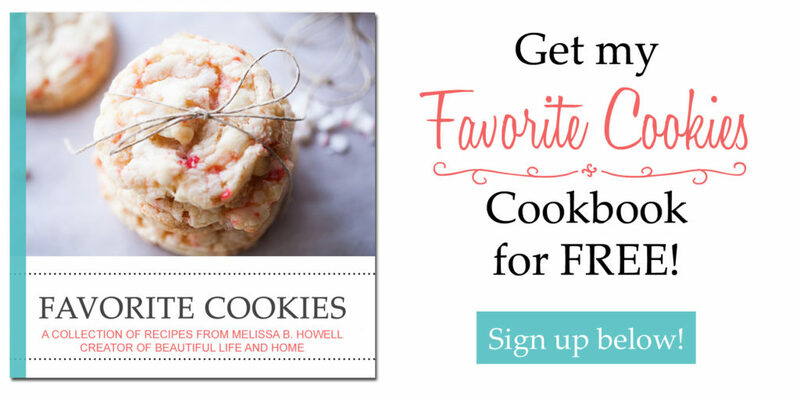 My kids were so impressed with these cookies, and they disappeared in a single day! Give these cookies a try, and treat yourself to Sally’s Cookie Addiction. (This is an affiliate link for you to purchase the book on Amazon). You can read my review of the whole book (and get a glimpse inside) on this post. (Note: this recipe is altered slightly from the way it is in the book. If you want the original recipe, you’ll need to get the book). In a large bowl, beat the butter on medium-high speed for about one minute, until smooth. Add the sugar and beat with the butter for about two minutes until creamed. Add the vanilla and egg and beat on high for about one minute. Scrape down the sides with a spatula if necessary. Add 1 cup of flour, plus the rest of the dry ingredients, and mix on low until incorporated. Add the other 1 1/4 cups of flour and mix on low just until the flour disappears. Touch the dough. If it sticks to your finger, add flour a tablespoon at a time until the dough is no longer sticky. Be careful not to add too much flour! Sprinkle a silicone mat or parchment paper with flour. Roll out the dough to 1/3 inch thick on the mat or parchment paper. Put onto a baking sheet, cover with plastic wrap, and refrigerate for at least an hour, or up to two days. When ready to bake, preheat your oven to 350 degrees F. Line baking sheets with silicone mats or parchment paper. Remove the chilled dough from the refrigerator and cut into desired shapes. Place three inches apart on cookie sheets. Gather the dough scraps, combine them by pressing firmly together, and roll out again to cut more cookies. Repeat until the dough is gone. Bake for 10-11 minutes, until edges are slightly brown. Remove from the oven and cool for five minutes on the baking sheet before transferring to a wire rack to cool completely. Add all ingredients to a stand mixer fitted with a whisk attachment and beat for five minutes. Add food coloring if desired. To test the consistency, lift the whisk out of the icing and count how long it takes for the icing to settle back into itself. If it takes longer than 10 seconds, add a teaspoon or two of water. If it settles too quickly, add a tablespoon or two of powdered sugar. Pipe onto cookies using a pastry bag fitted with a small writing (or other) tip. If you don't have a pastry bag or tips, you can cut a small hole in the corner of a plastic sandwich bag and gently squeeze your icing out through the hole. When piping pumpkin shapes, pipe the outer edges and middle section first. Wait for at least a half an hour to pipe the remaining two inner sections. Let icing dry completely, about two to three hours. Store in an airtight container at room temperature or in the refrigerator. WOW Melissa, the details that you give to make these cookies is nothing short of amazing! Always been a big fan of pumpkin spice and it’s that time of year. My kids and I are going to have to do these this weekend. I hope you like them! Thanks for your comment! These cookies are so cute! I’ve never used royal icing so I love how you explained everything! It’s fall and nothing goes better with fall than pumpkin spice! The icing is incredibly done and make them look absolutely amazing! Those cookies are GORGEOUS! And so are your photos. You made it so easy. I’m tempted to try some cookies like this. I’ve always been scared of fancy cookies! I’ve always been scared of fancy cookies, too, but now I want to make a bunch more. They were so fun! These are the CUTEST fall cookies! Pinning.